Home / Current Issue / Should You Stay In Your Home Or Move During Retirement? (NAPSi)—The choice about where to live in retirement is one of the most crucial decisions that a senior makes. It’s not just a major financial consideration, it’s also a highly emotional issue as a retiree’s home is often the anchor to their golden years. Are you making accurate comparisons? If you stay in your home, you may need to make improvements or renovations in the future to accommodate changing needs. 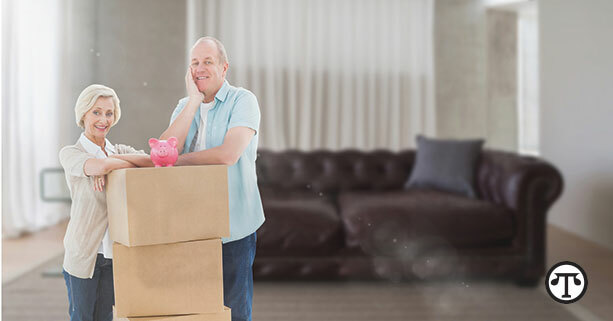 If you move to a new home, you may incur expenses associated with fix-up costs and moving expenses. Make sure you are considering total costs in either scenario. Are you open to renting? “It can be hard for retirees who have spent their lives building equity in their homes—and being taught about the virtues of homeownership—to become renters,” reported The Wall Street Journal. “But renting a home in a city before buying can give retirees a chance to really know if it’s the place they want to spend retirement.” Moreover, the cost of ownership in many locations actually exceeds the cost of renting, so it may be prudent to consider this option for both short- and long-term possibilities. Where will you have access to important services? Every consumer looks into the quality of restaurants, supermarkets and other day-to-day retail offerings when scouting out a possible new residential location. Seniors must be especially concerned about practical considerations such as the number of nearby physicians who accept Medicare, convenient transportation for those who are unable to drive, and community centers with special programs for seniors. Would you prefer to age in place or have a change of scenery? Many people dream about moving to some exotic location for their golden years, but the truth is that 85 percent of retirees stay in the area where they raised their families, according to Realtor.com. Think seriously about whether you’re willing to trade your current community for a new one, weighing the pros and cons of aging in place versus charting a new course. Whether you choose to stay in your home or move during retirement, it will be important to have ample cash on hand that can fund renovations of your existing home or the purchase of a new one. Many seniors are surprised to learn that one potential asset for generating immediate cash is a life insurance policy. A life insurance policy is considered your personal property and—as such—you have the right to sell that policy any time you like. When a consumer sells a policy in a “life settlement” transaction, the policy owner receives a cash payment and the purchaser of the policy assumes all future premium payments—then receives the death benefit upon the death of the insured. Candidates for life settlements are typically aged 70 years or older, with a life insurance policy that has a death benefit of at least $100,000. To learn more about life settlements, visit www.LISA.org or call the LISA office today at (888) 672-3917.